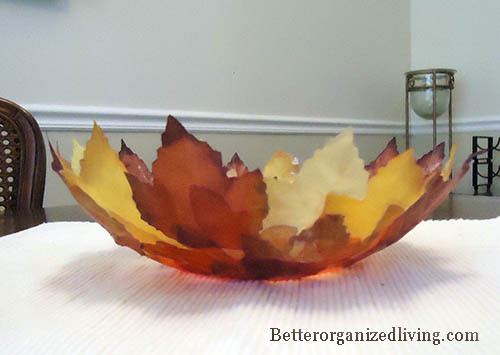 First up, I love this Leaf Bowl DIY shared by Better Organized Living. What a great use for dollar store faux leaves! 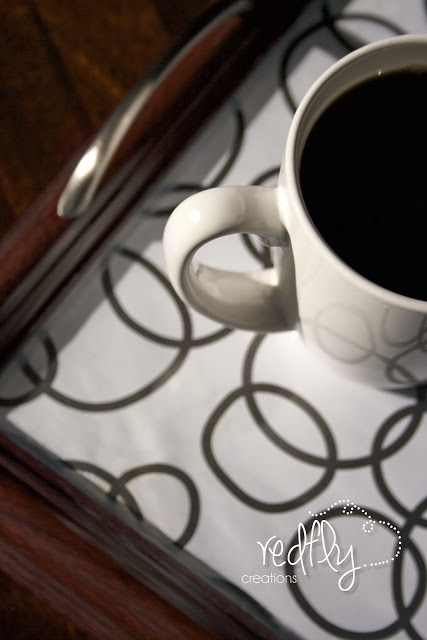 ﻿Redfly Creations shared a DIY serving tray made from a picture frame. This is fabulous!! What a great way to upcycle! There's still a bit of time left if you haven't decorated for Halloween. This gallery wall shared by Meeha Meeha is a festive way to decorate for the spooky day! And as long as we're talking about Holiday decor, it's never to early to get going on your Christmas decorations! I love this DIY fabric pinecone shared by Bliss Bloom Blog. These would make darling ornaments! Oh, and just a note...if you Pin from this party, please do so from the ORIGINAL SOURCE. I love it when you all link up...and I want any Pinterest traffic from your posts to go to you. So please click through to the original post before you pin. THANKS! Thanks for hosting, always love to join in! Thanks so much for hosting each week, Wendy! Thanks for always having a fun party!!! Thanks so much for hosting!!! Just LOVE the little fabric pinecone you have featured this week. so clever! Thanks for hosting another amazing party! That fabric pinecone is adorable! Thank you so much for hosting! Have a wonderful weekend. Thanks for the party and a good morning to you! I mad a bit of a departure from cooking, sewing and crafting to repair one of our rental property's toilets. I thought this might be helpful info for other ladies. I've linked up a tutorial on Glamorous Toilet Repair (#239) with step by step instructions. I hope it's helpful and a little fun! Hi Wendy, so glad to join your party. I try not to miss it. Thanks for hosting. Thanks for hosting, Wendy! It's always fun partying here. Thank you for featuring my fall leaf bowl this week! Have a wonderful weekend and thanks for hosting another great party. Oh that Halloween Gallery Wall is fantastic! Thanks for the fabulous party again this week, have a great weekend & Happy Halloween! Thanks for hosting a great party. Thank you too for featuring my coffee tray. Thanks for hosting again this week. Happy Friday! Thank you for hosting, so sweet!